Iron Fist, Green Lantern, Deadpool and more geekly News Round-Up! A lot of news and rumors in the DCEU, what happens with the Batman solo movie, Iron Fist on Netflix (FINALLY) and more to check out in this weeks geekly! DC Comics CW hit shows Supergirl and Flash are going to crossover again soon, with a very special, musical themed episode! Grant Gustin (Barry Allen/Flash) and Melissa Benoist (Kara Danvers/Supergirl) both appeared in Glee, which was a musical show, so it does make sense. Together they take on the devious Musicmeister, who first appeared in Batman animated show Batman Brave and the Bold, voiced by Neil Patrick Harris, who sadly did not return to the role. Check out the first glimpse at the two DC heroes belting out a song above to get ready for this very weird but fun superhero crossover! 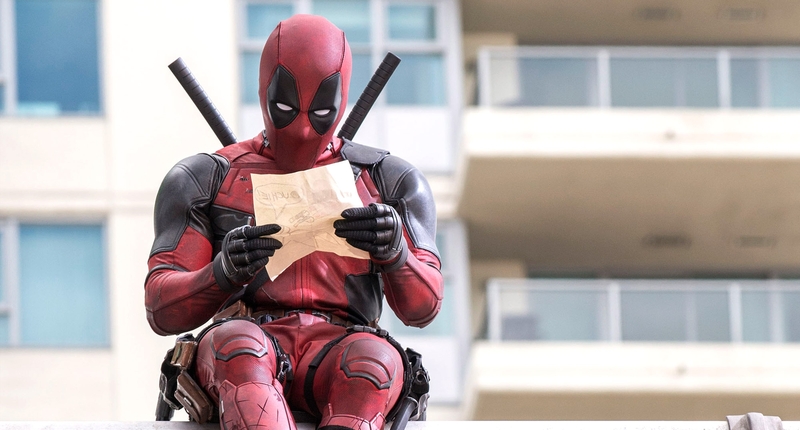 In an interview with Latino-Review, screenwriters Paul Wernick and Rhett Reese were asked about the upcoming Deadpool sequel and talked a little bit about introducing more obscure characters like Teenage Negasonic Warhead in the first film. "Yeah, Cable and Domino grabbed the headlines on Deadpool. But there are definitely some more obscure characters that people know or that real diehards know that will be in there just by virtue of we need a new villain, and we need some new good guys to compliment (Deadpool), but it is growing. Of course, it will be all about the lunacy that is Deadpool himself." Very excited what they will bring in the sequel, as I really enjoyed Teenage Negasonic Warhead and can't wait what else they will mine from the comics! After the Batman solo movie recently found a new director a lot of things have been unclear. 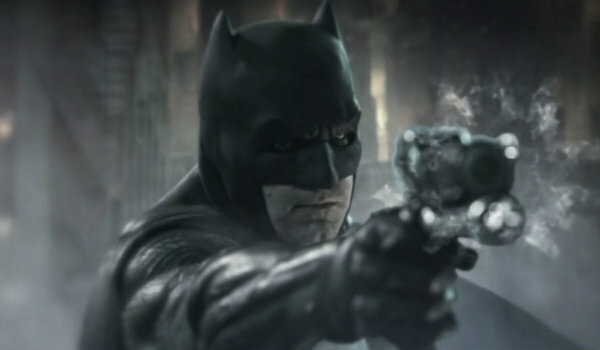 Like, will it still shoot as planned in early 2017 for a 2018 date and will they just use the Ben Affleck/ Geoff Johns written script, or will new director Matt Reeves exert creative control and take this baby into another direction and thus delay production? We can only speculate and recent interviews with two of the movies stars haven't made us any surer about anything really. J.K. Simmons, who will get introduced as Jim Gordon in the upcoming Zack Snyder directed Justice League, talked a bit about it during an interview with Screen Crush. "My part in the first film coming out this fall is very, very small… It’s a little introduction of the character. But whenever the next one gets off the ground, whether it’s ‘The Batman’ movie or the ‘Justice League’ sequel, and I know those things are getting shuffled around right now … we thought we might be getting to work pretty soon on ‘The Batman,’ but we’ll see what the future brings. Hopefully that’ll be another comic-book character that I get to take two or three or four cracks at." At least the actor is sure we will see more of his Gordon, with the only question being when he will shoot for which movie. Things aren't that cut and dry for Joe Mangianello though, who had been cast for the role of Slade Deathstroke Wilson. "Maybe. We'll see." was his only reply when asked about if we are going to see him suiting up to fight Batman soon. I actually think this is all very normal, to be honest. A new director comes aboard and might not want to work with the script that had been developed months before he joined, without any single bit of input. I do hope however that they will still end up using Deathstroke as one of the main baddies (maybe throw in some Leto Joker for me please? ), but time will tell. If by the end of the year Deathstroke's cameo in JL is nowhere to be seen in that film, we might know more. In the latest edition of Meet The Movie Press Tracking-Board E-i-C Jeff Sneider dropped a very interesting little nugget about the planned Green Lantern Corps movie. 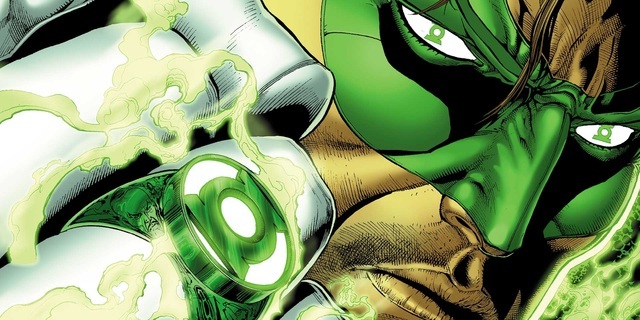 Sneider said that David S Goyer (who co-wrote Dark Knight, Man of Steel among others) who is penning the script for the GL film alongside Justin Rhodes "could very well wind up directing Green Lantern Corps himself,". We were long overdue for some chatter on who might be directing this movie, but a guy like Goyer seems not like a dream choice to me. Don't get me wrong, the guy is one of the best screenwriters for these type of movies, so I love that he writes it, but looking back at his directing history, which includes one of the worst Marvel movies ever in Blade Trinity, shows me he would probably be way in over his head with a CGI heavy, space bound movie like GL. Of course it is still only a rumor, so we will see what happens. Until then I hope George Miller (Mad Max) decides to do GLC. Variety writer Justin Kroll followed up the story of the Batman being probably delayed because of the director and possibly script changes with insider information, saying that DC and WB will now look into fast tracking another DC Comics movie for release in 2018, to make sure Aquaman won't be the only DC release. The movies he named were Gotham City Sirens, Green Lantern, Flash, Suicide Squad 2 or Justice League Dark. I do think Sirens is the most logical option, since the work on the script had started in Summer last year thanks to Margot Robbie getting very proactively involved in another Harley Quinn film after finishing work on Suicide Squad. The Sirens movie also already has a director in David Ayer (Suicide Squad) who already committed to the script and is a hard and fast worker who already finished directing another movie with Will Smith between the Suicide Squad release from late last summer until now. The Flash and Green Lantern movies are probably the furthest away, with not even having directors attached, so maybe the JLD film is a legitimate option as well, since it found its director lat last year in Doug Liman. Either movie would work for me, of course, since I am now so used to getting two DC and at least two MCU movies a year, so I am glad DC is trying to keep that pace alive. Of course hopefully without sacrificing quality, which I felt all DCEU movies have had a lot of so far (Loved MoS and BvS and liked Squad). The newest Marvel Netflix show has launched onto out favorite streaming service on Friday last week and so far I really enjoy the newest show in Marvel's little, dirty street level corner of the MCU (5 episodes in), even when the reviews are saying it is the weakest of the bunch (which it isn't COUGHiamlukecaaaaaaageCOUGH). iron Fist is about Danny Rand returning to his city and his company after being declared dead 15 years ago after a plane crash. Outfitted with the largest kung fu knowledge from any Marvel character and the power to summon his chi into his fist to land explosive punches, he is the Immortal Iron Fist, the living weapon. Check out the trailer above.